Chocoholics rejoice with this sweet and scrumptious vegan frosting chocolate recipe that will satisfy any chocolate craving without a drop of dairy. The frosting is used to give a contrasting taste and texture to vegan cookies, dairy-free cakes, and dairy-free cupcakes. Of course, it's also a beautiful decoration to make sweets look prettier. This recipe can be doubled or tripled for parties and get-togethers when the time is of the essence. In a medium-large mixing bowl, using an electric hand mixer, cream the confectioners' sugar with the soy margarine until mixture is thick but well combined, about 30 seconds to 1 minute. Add the almond milk or soy milk, cocoa powder, and vanilla and continue to mix until smooth, about 1 minute. Refrigerate and spread just before serving on fully-cooled cookies, cakes or cupcakes. When preparing dairy-free frostings, you can use a "stick" variety of dairy-free soy margarine instead of a "tub" variety. You can use vegan butter with a cocoa butter base, which lends itself to a texture that more closely resembles traditional frosting. If you use a vegan butter with a coconut oil base, you'll find the frosting "melts" much more readily and may need to be refrigerated prior to use to firm up. To give a lighter flavor, you can use whipped vegan butter alternatives. There are a variety of butter substitutes available on the market. If you avoid soy, you can use any other non-dairy milk, including almond milk, cashew milk, or rice milk in this recipe, but be sure to go unsweetened or the balance of flavors will be lost. 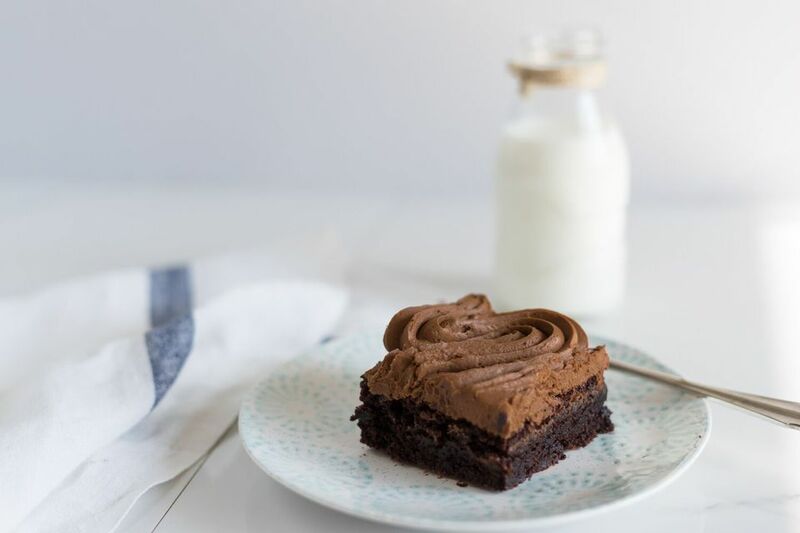 Other non-dairy milk such as hazelnut milk or coconut milk might change the flavor of the frosting, but they are still perfect substitutes for soy milk. If you've been using a plastic storage bag with icing tips to decorate with frosting, you know how hard it can be to control your designs. Consider upgrading your pastry bag with a silicone piping bag instead. There are a variety of choices that allow you to pipe evenly, some are squeezable and others even have screw-on nozzles so you don't get any surprises while decorating.